Sales engagement software streamlines the sales process through integrations with sales communication channels and tools, management of sales messaging and materials, and automation of tasks, messages and workflows. This software enables companies to combine their sales and marketing efforts to create personalized and automated sales journeys; these can include emails, calls, social posts, meetings, and text messages. By standardizing both messaging and the overall sales experience, teams can report on the effectiveness of specific messaging and tactics while also reducing administrative tasks for sales representatives. Sales engagement software will integrate with existing sales solutions, such as a team’s CRM software, email software, email tracking software, outbound call tracking software, sales intelligence software or lead intelligence providers, and sales enablement software for content management, among others. Sales Engagement reviews by real, verified users. Find unbiased ratings on user satisfaction, features, and price based on the most reviews available anywhere. We live in an era of hyper-competition. In response, sales teams increased the volume of prospecting calls and emails to an all-time high. The result is that buyer’s no longer give second chances on sales calls. Costello is an A.I. driven conversational playbook platform that helps sales professionals consistently have great conversations with buyers. It identifies the questions that matter most in your sales process and then help your reps beat the competition by guiding them through the critical moments in sales calls that determine whether you win or lose. Olono is real-time guided selling. We deliver Next Best Actions that improve win rates and quota attainment. B2B AEs and AMs use Olono to address sales issues including pipeline visibility, CRM data quality, sales process adoption and rep ramp time. With Olono organizations: - Understand and leverage ALL sales activity, from ANY and ALL sales and marketing applications. - Know how each activity, and the combination of multiple activities, impact pipeline movement and stage conversion. - Generate Next Best Actions, customized by role, defined by best practices, custom processes and machine learning. - Automate signal and data capture, getting your reps out of the data clerk business and giving you more complete and accurate customer information than ever before. - Easily identify opportunities at risk, or progressing well. Know exactly where to focus your time for the most impact to your quota and forecast. Featured in the Wall Street Journal, Inc., TIME, ABC, Forbes and PC Mag. Cloze is like a personal assistant for your professional relationships that is always prompting you at the right moment and remembering what you don’t. It pulls from your apps to automatically create one view of every person and company - all their contact details, and your complete history - every email back and forth, your phone calls together, your meetings, your notes on Evernote, documents you exchanged and your interactions on LinkedIn, Facebook, and Twitter. We’ll even grab email signatures so your contacts are always up-to-date. It's all organized for you - by contact, company and meeting - without any busy work. With everything in one place, Cloze can put advanced data science to work for you. Cloze figures out who is important and keeps them top of mind, and will even remind you to reach out to a contact and refresh a fading relationship. Cloze organizes by companies too - without any setup. 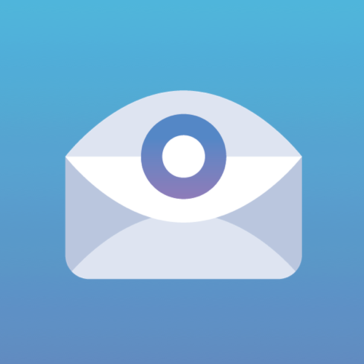 See your complete interaction history with any company, automatically in one place: contacts, email, meetings, phone calls, notes, documents and social media too. There’s no data entry - Cloze is the automatic way to remember everyone. Apollo is the unified engagement acceleration platform that gives reps the ability to dramatically increase their number of quality conversations and opportunities. Reps are empowered do more than just conduct outreach, they learn who to target, how to reach out, and what to say at speed and scale. We help drive growth and success by providing the means for teams to discover and utilize their organization’s unique best practices. By working in a unified platform, reps and managers alike save hours of time each day, strategy changes are instantly scaled across the whole team, and managers can finally dig into data at each step of their pipeline to continually find new ways to improve. Teams get access to our database of 200+ million contacts with a built-in fully customizable Scoring Engine, full sales engagement stack, our native Account Playbook builder, and the industry’s only custom deep analytics suite. Managers create and enforce order and process with the industry’s most advanced Rules Engine. Apollo is the foundation for your entire end-to-end sales strategy. Join teams like Lyft, Autodesk, and Snowflake to experience the future of sales today. Ready to join our crew? Email sales@apollo.io. Bmetric is a customer engagement software that helps companies drive traffic to the website and convert into sales. Analyze and manage your Facebook Messenger for free. FatStax is a sales acceleration platform that combines product catalogs with resource libraries. A Sales Acceleration Platform engineered to Drive Deals. Lucrativ, a sales accelaration and CRM platform created for every sales development teams of every business industry. Equipped with a multichannel customer connectivity center with integrated dialer, SMS, calendar, and more with seamless operation across desktop and mobile apps which aids the sales teams to drive productivity further. Plan2Win offers Account and Territory Planning solutions for Salesforce instance. The fastest and easiest way to organize leads, close the loop, and ensure nothing falls through the cracks. Helps sales professionals, sales managers, and business owners to improve sales performance by identifying how to best communicate with prospects. With Interactions Intelligent Virtual Assistant, it's easier than ever for you and your customers to interact and get things done. Hi there! Can I help you find the best Sales Engagement solutions?